creative mornings – How to Shape Human Behavior. 00:03:00 You likely went into business because you want the liberty of being able to pick and choose the projects and clients you want to work on and with. But working for a company and running a company require two different skillsets. You must also have business experience – prospection, sales, accounting, customer services, etc. This stuff is a part of the job, and if you launch a business without these necessary skillsets, you’ll end up leaving a lot of money on the table. 00:04:49 All, or at least almost all, clients start the business relationship with you with the best of intentions. They worked their butts off to get a large enough budget to hire a company do to their work for them, and of all the choices that they could have gone with to meet their needs, they chose you. …but things do go wrong; things that you weren’t expecting – the market changes, the person who hired you leaves, somebody has a bad mood day, etc. But things change, and when those things change you need to make sure that the relationship between you and the client is set in place in something like a contract. 00:05:34 When a client isn’t paying you, writing a ‘heart-wrenching letter’ or appealing to the client’s emotions is the worst and most unprofessional thing you can do because you will lose all credibility that you have with that client because the minute that you write a “heart-wrenching” letter you have given up any bit of leverage that you had in that relationship; you’ve shown them that you don’t believe that you have a leg to stand on other than playing upon guilt. Entrepreneurs who must resort to heart-wrenching letters to get paid surely did not have a contract that irons out what to do in case of non-payment in place. 00:08:41 The fundamentals of a client-services contract are clear definitions and clear expectations which are all explicitly stated and agreed to by both parties. Everybody must understand what they’ve agreed to. Absent a contract, a lawyer can write a mean letter or a persuasive phone call. If you want to avoid a lawsuit early in the process or if you have to file a lawsuit, you’ll need a written contract to back up your claim. If a contract is not in place, you’ll have to spend a ton of time, energy and money trying to get paid for your work and probably will get paid a significant portion less. If it costs you $20,000 in attorney’s fees to collect $50,000, you’ll have lost a significant amount of money. 00:12:19 Build as many allies within the client company as you can, so in the event somebody refuses to pay, you have people working from within advocating for you. 00:12:54 It is possible that the client’s goals and objectives change as the project progresses. In this case you’ll want a contract that outlines that any deviation from the agreed terms is either an added charge or the contract ends, client pays for the work done so far, and a new contract is negotiated. In the end, the client hired you for your presentation pitch and the scope of work that they outlined for you, so if you want to change it, you need to negotiate a new contract or amend the scope of work. 00:13:40 Walk away from any potential who prefers to say “You can trust us” for a business deal rather than having it formally written down. You cannot start a relationship with “You can trust us;” especially if it is concerning something crucial like payment terms because from that point on you’ll have to agree to additional just as onerous things during the project. 00:15:22 Treat the client bringing in another designer or consultant to work with you as a fireable offense. Why? Because again, you were hired to solve a problem and the client hired you for your presentation pitch and the scope of work that they outlined for you. The clients brining in a 3rd party now puts you in competition for the client’s time and you new have to compete with that person; that is not what the client originally hired you to do, and that is not what you originally agreed to. You can fire a client as much as they can fire you. Just make sure your grounds for firing the client are outlined in the client-services contract. The reason you’re firing your client needs to be solid and in writing, and the client needs to be very aware that your firing them was coming – i.e. several emails explaining how the client is not fulfilling their part of the contract. Firing your client should be the last thing you resort to, but when you must, do it quickly, clearly, and as kindly and respectably as possible. Recall that this is a client who worked their butts off to get the budget, and chose to hire you out of all their other options. Also, your reputation as a professional will spread to other businesses. 00:16:24 You’re at a point where you need a lawyer when you decide to go from being an amature to a professional. Good lawyers actually make you money. Good lawyers get your contracts to such a point that you no longer have to worry about the business and can focus on the creative aspect of your job – the reason you became an entrepreneur in the first place. What you pay the lawyer is but a pittance of the amount of money you would have lost had you have done the work without a formal contract. 00:17:51 Discussing money is usually uncomfortable both for you and for your client, a lawyer’s job is to take that responsible while making the both parties feel comfortable talking about it so that it doesn’t become a point of contention between the parties. Most decent lawyers will tell you up front how much you may expect to pay to handle a particular situation. Most attorneys will even meet with you to answer your questions without charging you. As a professional, you are trying to convince someone that you are the right person to give their money to in exchange for your services. If they ask a question about money, and the first thing out of your mouth is “Umm…,” you just lost $10,000 as well as your respectability. If you know how much something costs, stand up confidently and tell them. If you don’t know how much something costs, tell them you don’t know but that you will get back to them ASAP with the amount. The important thing is to sound like you know what you’re talking about, even when you don’t, because you can always find out later. A common payment plan may be to divide the project into phases, with the agreed amount of money for each phase to be paid at upon completion of the phase before and before the next phase begins. 30-,60-, 90-day late fee ‘penalties’ should be outlined in advance, and at a certain amount of days late the contract could be considered terminated and a kill fee is paid by the client. Then, if you have to sue the client for the money, you include your attorney’s fees. Clients may hand you contracts which haven’t been updated in +20 years or copy/pasted from template contracts found on the internet, and so don’t fit in today’s business environment. Clients may also hand you lawyer-prepared contracts that meet every single client need. The process of negotiation is what makes agreements fair, therefore contracts protect both parties. Anything situation that arises during the process should be stipulated in the contract. Letting the client get their way, or signing contracts blindly will mean you are meeting all of the needs of the client without addressing your needs as a professional businessman/businesswoman. Intellectual Property (IP) transfers on full payment: This is the most leverage you can have on a project – the work that you have done is yours until the client has paid you in full for it. If they use that work before you have been paid, you can sue them. IP contractual writing can be difficult to understand, and clients will want all work you do for them to become the client’s immediately upon your signing the contract. Perhaps the easiest way to manage this in your contract is to include the sentence “Upon full payment for the services…” at the beginning of the IP section of your contract. Termination (kill fee): the amount that your client is going to have to pay you over and above the work you have already received in order to terminate your contract without a good fireable reason – which should also be outlined in the contract. This protects you because you’ll have invested a lot of time working on their project, and you’ll have had to turn away other clients you could have worked with. Liability: if something goes wrong with the project, who’s to blame and consequences? Your contract will include representations of warranty and quality that you make about the services you will provide and that you are not infringing upon anybody else’s copyright. For example, if you create a sales website for a company with online sales of $10,000 a month, and then two months later their website crashes for 2 weeks, will you be liable for the lost sales? 00:19:36 Don’t start work without a contract. You’ll have lost any leverage that you had beforehand. 00:24:30 People hire lawyers to protect them, therefore lawyers talk to lawyers. If your client informs you that they have legal on the phone, wrap up your conversation and don’t call them back until you have a lawyer as well, otherwise you may become nervously intimidated into agreeing to and saying things which could cost you the contract. 00:37:47 Be careful of what you put online and comments you make about clients and/or other people, because it may come back to hurt you, both in your reputation as a professional and if a client’s lawyer finds your comments on social media. As a rule, your relationship with your client is sacred and you should never put on social media anything that would violate that sacred relationship. Has clear definitions and clear expectations of the scope of work outlined for the project which are all explicitly stated and agreed to by both parties. Any deviations – amendments to the scope of work from the agreed terms is either an added charge or the contract ends, client pays for the work done so far, and a new contract is negotiated. Respects your non-negotiable terms and conditions which you refuse to give up. Has clear explanations for the grounds on which both parties can end the contract before the project is finished. Includes attorney’s fees should you have to take the client to court. 00:01:52 Consider the audio part of the ‘Harlem Shake Video’ from 00:00:57-00:01:26 in the talk above. The first Harlem Shake video was uploaded onto Youtube on February 4th. By February 10th over 4,000 Harlem Shake videos were being uploaded every day. This is because the Harlem Shake video was the perfect meme: A short, 1 cut video with only two scenes and one addictive musical sampling of the first 30 seconds of Harlem Shake (2012) by Henry Baauer-Rodriguez. The Harlem Shake song itself received many awards, certifications, and chart listings, almost exclusively through viral online videos and without significant radio or television exposure. However, insofar as copyright laws are concerned, Harlem Shake used, without permission, a sampling from Miller Time by Plastic Little, released in 2001. Further, the underlying drum beat in Miller Time was taken, without permission, from Synthetic Substitution by Melvin Bliss, released in the 1974. Consider now the video part of the ‘Harlem Shake Video,’ again from 00:00:57-00:01:26 in the talk above. 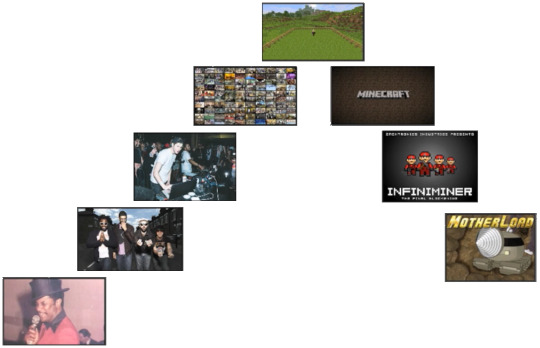 The video is created using Minecraft, the most successful indie-game of all time. Minecraft was heavily inspired by Infiminer by Zach Barthe, which was inspired by a free Flash game called Mother Load. 00:05:37 So to sum up, we have a video, inspired by videos that samples a song, that samples a song, that samples a song, made in a game inspired by a game that was inspired by a game. This his how art and culture is made; by taking the taking the works that we love and building upon the ideas those before us whom we admire. NOBODY IS IMMUNE HERE; lone rangers don’t exist. 00:07:53Even Apple, considered one of the greatest innovators of the modern era, borrowed ideas and technology from other competitors at that time. 00:08:50 A common technique of content publishers who use and remix other people’s content is to place variations of “NO COPYRIGHT INFRINGEMENT INTENDED. ALL RIGHTS TO RESPECTFUL OWNERS” alongside their uploaded content, believing this is notice is enough to protect them. But this notice will not protect you from a copyright infringement lawsuit. 00:11:22 Youtube’s content ID software scans through every video that is uploaded to Youtube for potential copyright infringements. This system is so powerful that it can even detect the underlying melody of a cover song. 00:11:36 Youtube tries to educate its users on how to avoid copyright infringement through their Youtube Copyright School. 00:16:57 This is because most music licensing and fair use is in fact really, really complicated. If you want to use a sample, you need to directly negotiate a license with the rights holder – usually with the record company. Even a highly-distorted, 2-second sample has been found by courts to infringe copyright. Therefore sampling is extremely difficult and expensive to do. On the other hand, you could consider sampling so fragrantly that record labels are terrified to take you to court for fear of establishing a new precendent in copyright law. Purchasing the use of cover songs, on the other hand, is the only sane licensing in the copyright world. You can purchase them directly and immediately online through websites such as Harry Fox (HFA) wihout needing permission, like you do with sampling music. 00:18:49 Likewise with photography, if you want to use an photograph, you have to negotiate a license directly with the photograph owner. But an illustration based on a photograph is not nearly as clearly outlined in the law. This is why almost every copyright case settles out of court and almost always includes a confidentiality agreement, and why there is so little actual case law challenging current copyright laws. Fair use is not a law, it’s a test used in court to help a judge determine if something is liable for infringement. Only investing those years and millions of dollars in discovery, expert witnesses, court fees, etc. can you then challenge the accusation. Anyone can sue you for anything, even without grounds.When they do, you will have to defend yourself, and settling out of course is almost always cheaper than fighting for your reputation, and the person suing you knows this and is counting on you settling out of court. 00:26:53 Being sued for copyright infringement carries with it a penalty of can ruin your life, and definitely the life of your business. This is due to the way that copyright damages work: the law allows a copyright owner to collect not only actual damages that they’ve suffered plus any of the profit taken in by the copyright infringer, but also statutory damages for ‘willful’ infringement of up to $150,000 per work. 00:27:20 The problem is that even a small settlement done out of court on a bogus copyright infringement claim is more lucrative than years of running Youtube advertisements on an uploaded video, and lawyers are realizing this and adapting their strategy. 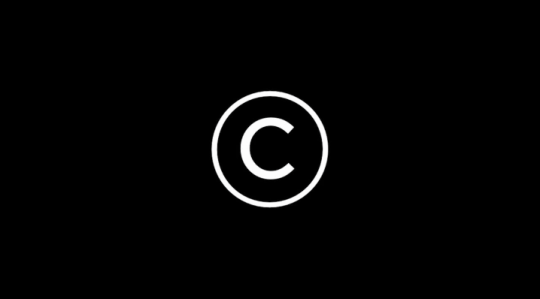 Extortion-like mass automated copyright lawsuits are being sent out and the out of court settlement monies collected as a business model, usually between $2,000-5,000 per person. This isn’t a creator protecting himself with copyright, this is exploiting copyright as a revenue model. Whenever we introduce ourselves to another person, we usually lead with our title – whether it’s on our business card or what we claim ourselves to be. In fact we’re robbing ourselves of some really great opportunities. Posted on June 27, 2014 September 10, 2014 by Joshua SMITHPosted in QuotesTagged business cards, creative mornings, creativemornings, influence, mig reyes, misconceptions, persuasion, sales ambassador, social networking. Don’t ever work in advertising. All our life we’re told to make things. Breaking things is a process from which you can learn so much more if you decide to learn from somebody else whose done something great and break it and take it apart.